Welcome to our Month of Irises project! This post will be updated continuously during the next 7 days. For more details see here, but in short – come back every day to read something new I added for the day, see what perfume I chose to wear and share your SOTD. As I discovered (and more or less confirmed beyond just reading Wikipedia), it is not a coincidence that iris plant has the same name as Iris, the Goddess of the Rainbow: there is an opinion that the name refers to the wide variety of flower colors found among the many species of irises. How many? 260–300, according to the Wikipedia article in English. I’m mentioning the language because, as I noticed by browsing pages in several different languages, the number of species varies significantly from language to language (e.g., it mentions 100 in Greek, 210 in French and 800 in Russian) but only English version has citations for the numbers – so it seems the most trustworthy. As several of you correctly guessed, it is Chanel No 19 EdT. And since it’s one of those perfumes that does not require an introduction, I’ll just leave it at that. In how many projects can one person participate with the same perfume on the same day? My goal for today was to fit both this project and NST’s Groundhog Day community project, for which each of us is supposed to randomly choose between “winter” and “spring” perfumes, predicting that way what to expect from this winter. Since my Winter and Spring iris perfumes come in bottles, it would have been hard to “randomize” them. Instead, I decided to trick Rusty into making that choice for me. Two balls made from tissue paper were to represent Winter (blue) and Spring (green). After careful consideration, Rusty ran away with the green ball (all pictures are from the same sequence, I didn’t touch the paper balls between shots – hover over each picture to see the steps description). So, according to Rusty, there will be an early spring – and I’ll be wearing my “alien” Spring perfume Prada Infusion d’Iris EdP. Now let’s wait and see whether Punxsutawney Phil will see his shadow. Angela Zito, a co-director of the Center for Religion and Media at New York University, screens the film for students in her Buddhism class. She said that ”Groundhog Day” perfectly illustrates the Buddhist notion of samsara, the continuing cycle of rebirth that Buddhists regard as suffering that humans must try to escape (a belief, Dr. Zito noted, that was missed by executives at Guerlain, who, searching for an exotic name, introduced a perfume called Samsara in the 1980’s, overlooking the negative connotations). Groundhog Day is one of my all-time favorite movies. I own it on a DVD, watched it many times and plan to watch again today to celebrate this day. I expect Rusty to particularly enjoy it too since the only place I can watch it is sitting on the sofa, and he’ll get to spend the whole evening sleeping on my lap. By the way, I was right: Rusty must think that this film is the best thing… OK, not ever but since Die Hard, which we watched for Christmas. Today I plan to wear Chanel 28 La Pausa: since it’s a weekend, I plan to try “hajusuuri’s approach” – 8 sprays (or as many as I have left in my sample) to see if it sticks around (and I still can’t stop giggling at Lucas’s comment:“At least it doesn’t need 28 sprays!”). What do Pacific Coast, Rocky Mountain and Louisiana have in common? I’m not sure whether nobody saw the riddle (post updates do not trigger e-mail or other notifications, so I don’t know how many readers remember about my “rolling” post), or just wasn’t interested, or didn’t know the answer – so I’ll give the second clue, and tomorrow provide the answer. Pacific Coast, Rocky Mountain and Louisiana have in common the same thing as Bamboo, Blood, Blue flag and White cemetery. What Is that? While 28 La Pausa was very nice and, applied with a heavy hand, stayed longer than I remembered, I’m glad to report that I do not regret not buying a bottle of EdT while I could. But still – very nice. I plan to wear Guerlain Iris Ganache hoping that my decant is still fine – I haven’t touched it in a couple of years, which probably means that it was a good idea to buy just a small portion instead of going for a bottle. But I’ll report back. 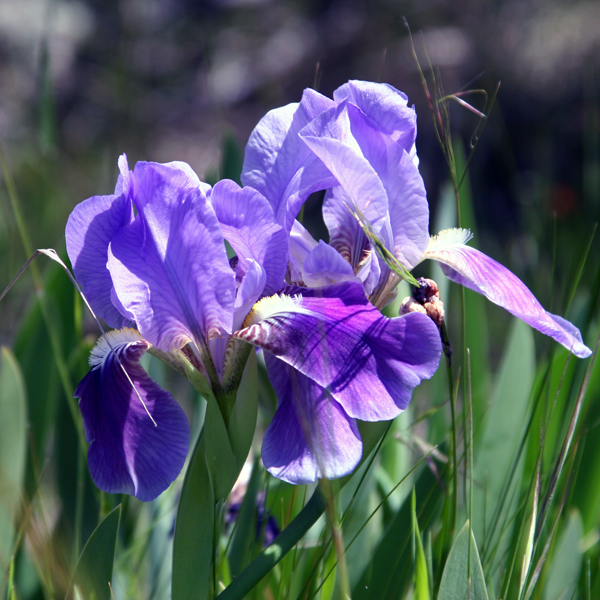 The answer to the riddle: “What do Pacific Coast, Rocky Mountain, Louisiana, Bamboo, Blood, Blue flag and White cemetery have in common?” – these all are common names for irises. Speaking of names, did you know that there is an iris cultivar called Perfume Counter? I plan to wear Atelier Cologne Silver Iris – one more decant that I’ve been neglecting. Iris Ganache (older version, not the one re-released last year) was very pleasant but I was right: I don’t need more than I have since there are so many perfumes that I enjoy more. And this is Victoria’s (Bois de Jasmin) review for Mugler’s Oriental Express – perfume that a couple of readers wore yesterday, even though it doesn’t list iris as an official note. I can confirm that from my own impression it does smell like iris. Since I have a couple of meeting during the day in a small conference room, I need something quiet – so I decided to go with Hermès Iris Ukiyoé. Orris root is among the most common botanicals in gin. 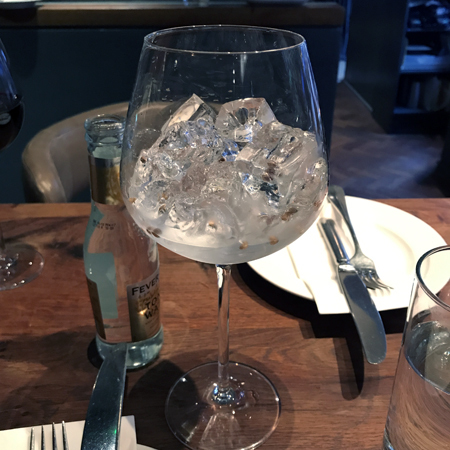 It is used, mostly, not for its own taste profile but rather as an aromatic fixative that helps to preserve other aromas in gin. Iris Ukiyoé, which I wore yesterday, is probably the most floral of my iris perfumes (as tiffanie perfectly described it in her comment below – “not-iris iris perfume”). And it’s extremely quiet. So today I want something “louder.” I should probably go with Le Labo Iris 39, one of my most favorite iris perfumes. Images: from Wiki Commons red iris – KENPEI, orange iris – Kor!An, “green” iris – Simone; the rest – my own.